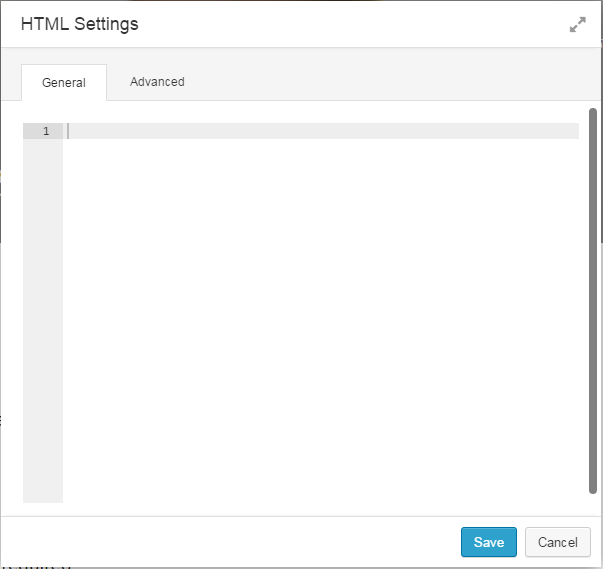 You can insert custom HTML in your pages, such as code for a table, in order to customize your site. Click HTML, then drag and drop the HTML box to a place on your page. The HTML Settings dialog box will appear. From here you can paste or write your custom HTML code.